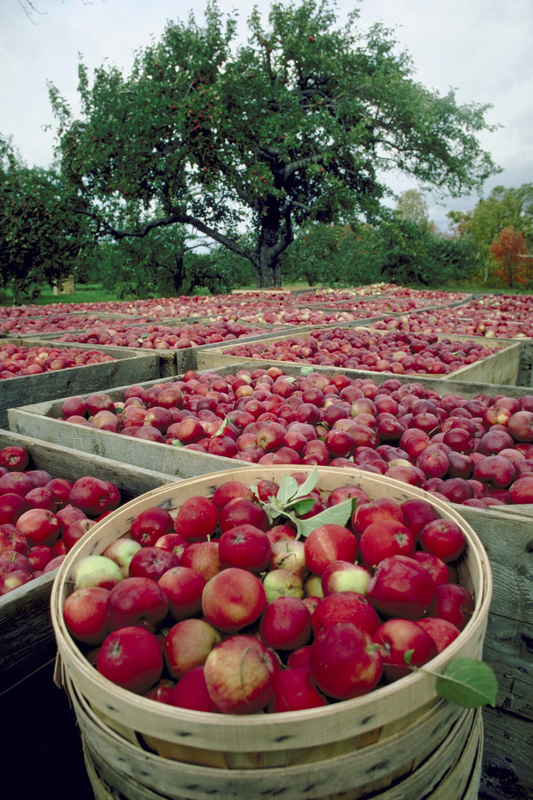 There is still time to pick up fresh, local apples at a local orchard or at the Regional Farmer’s Market. Last month, I posted my favorite gluten-free apple crisp recipe; this is my favorite applesauce recipe that I picked up years ago from Beak & Skiff. I have made it several times over the years and it is so yummy, quick, and easy! Place apples in a saucepan, along with cider or water. Cook over low heat, stirring occasionally. When apples have softened, mash with a fork or potato masher, and stir in cinnamon and sugar. Cook for a few minutes longer. Serve warm or chilled. I am a big fan of just about any type of cooked apple dessert. This is a great recipe to add to a weeknight meal because of the ease of prep time involved. You also do not need to have much experience in the kitchen to make this. So go ahead and enjoy! My favorite variety of apple to use here is Granny Smith though the Ginger Gold variety works great too! Place all ingredients for the filling into a 7 x 11-inch baking pan. Gently stir together with a large spoon. A good gauge for sufficient fruit is to fill your pan almost to the top with sliced fruit. It will cook down quite a bit. See the photo below. In a small mixing bowl stir together the oats, rice flour, sugar, cinnamon, and sea salt. Add oil and vanilla and stir together with a fork. 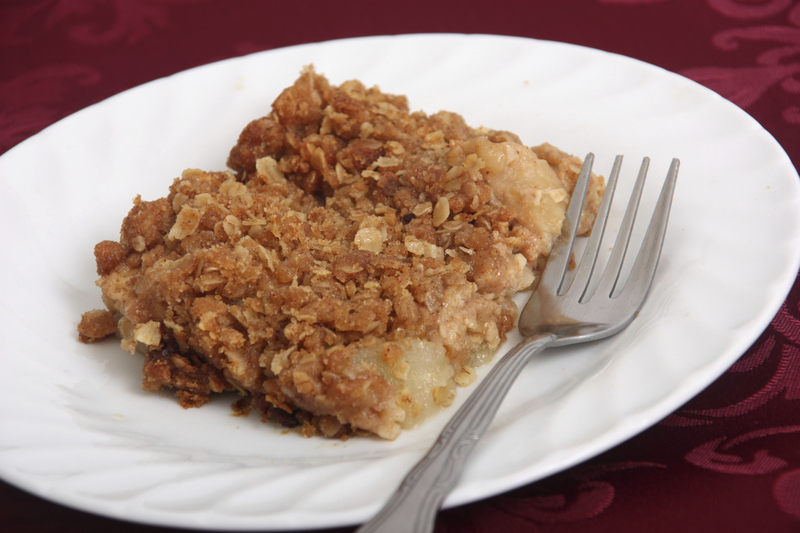 Using your hands, crumble the topping evenly over the filling. Bake for about 40 minutes or until the juices are bubbling up and the topping is lightly browned. *Notes: Use organic brown sugar, Sucanat, or maple sugar in the topping instead of coconut sugar if desired. Sometimes I add 1 to 2 tablespoonsmore oil to the topping if the mixture seems to need it. Lemon Juice can be omitted if you are sensitive to citrus. Italian Plum Variation: Use 4 to 5 cups pitted, halved plums in place of the apples or a combination of the two. Toss with 3 to 4 tablespoons arrowroot; increase liquid sweetener to 4 tablespoons; omit lemon juice. These cold winter months of shivers and chills spark our instincts to turn to warm, delicious beverages. 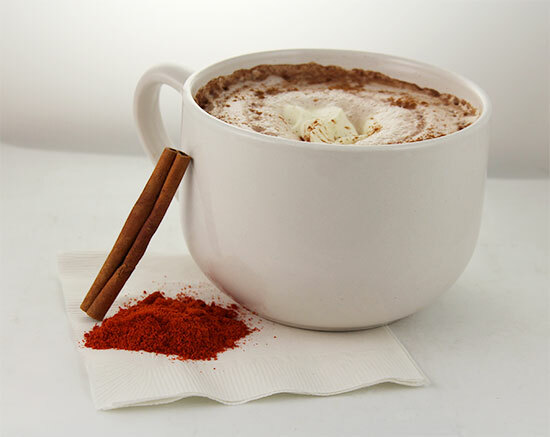 May we recommend Tyme-Out Café’s Mexican Hot Chocolate? Our version of this beverage is not just another pretty taste. There is a therapeutic method to our madness. The key components of our recipe are raw cacao powder, maple syrup, cinnamon, and last but not least, cayenne pepper. Raw cacao, the darkest of dark chocolates, is rich in magnesium, and one of the world’s best sources of antioxidants. Not all sweeteners are created equal. Maple syrup contains polyphenols, antioxidants that quell inflammation, which is linked to a slew of health conditions from cancer to arthritis. Obtained from the inner bark of several trees in the genus, cinnamon, is a spice used in both sweet and savory recipes. Chinese medicine and Ayurveda have long revered cinnamon as a superpower used to treat things such as colds, indigestion, and cramps and also believed to improve energy, vitality, and circulation. One-half teaspoon of cinnamon daily can lower LDL (bad cholesterol). It has an anti-clotting effect on the blood. Cinnamon can also help stabilize blood sugar, which helps with weight loss. A couple of dashes in your morning cereal or beverage are all it takes! When added to food, it acts as an inhibitor of bacterial growth and food spoilage. Just smelling cinnamon boosts cognitive function and memory. Cayenne pepper is somewhat of a miracle ingredient. Cayenne may have the ability to ease stomach upset, ulcers, sore throats, spasmodic and irritating coughs, and diarrhea. It aids in breaking up and moving congested mucus. Once mucus begins to leave the body, relief from cold and flu symptoms generally follows. Cayenne may aid in the prevention of migraine headaches. This may be related to the pepper’s ability to stimulate a pain response in a different area of the body, thus redirecting the brain’s attention to the new site. Cayenne’s anti-inflammatory properties make it a great herb for arthritis, diabetes, psoriasis, and herpes-related nerve damage. It is also credited with stimulating the production of saliva, an important key to excellent digestion and optimal oral health. With all of these benefits hidden in a rich and deeply delicious drink, could you ask for anything more? Indulge yourself with a Mexican Hot Chocolate and know you are doing something wonderfully beneficial for your body and soul.